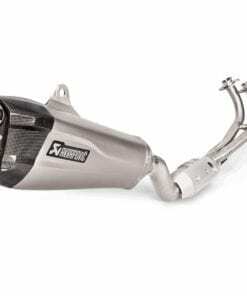 Evolution exhaust systems are usually based on the Slip-On system, with additional link pipes. The Evolution Line helps deliver even more power and torque, unique resonant sound as well as weight reductions. These exhaust systems are available with a range of exquisite tailpipes in either carbon fibre or titanium. Evolution performance exhaust systems usually include mufflers, link pipes and resonators that run from the stock down pipes back. These link pipes can feature larger-than-stock-diameter tubing and cast titanium flanges. As with most of the company’s products, Evolution exhaust systems are “tested” by customers virtually every weekend on track days – it is how constant improvements are made.